Hi guys I need some advise. I have a 14foot Aircore Bill Foote downwind board. Its a hollow construction not unlike a SIC board. Locally my coastal run is not a true down winder and paddling on the right side the whole way is starting to get a tiresome just like the KOTC on Sunday but that's another story. 90% of the time I downwind in less that true downwind conditions as that's whats on offer in the Bunbury area. My question is do rudders (steering systems) help when the wind is not directly at your back? is it worth it and who can I source a steering/rudder kit from? Should I just sell it and get a unlimited board? 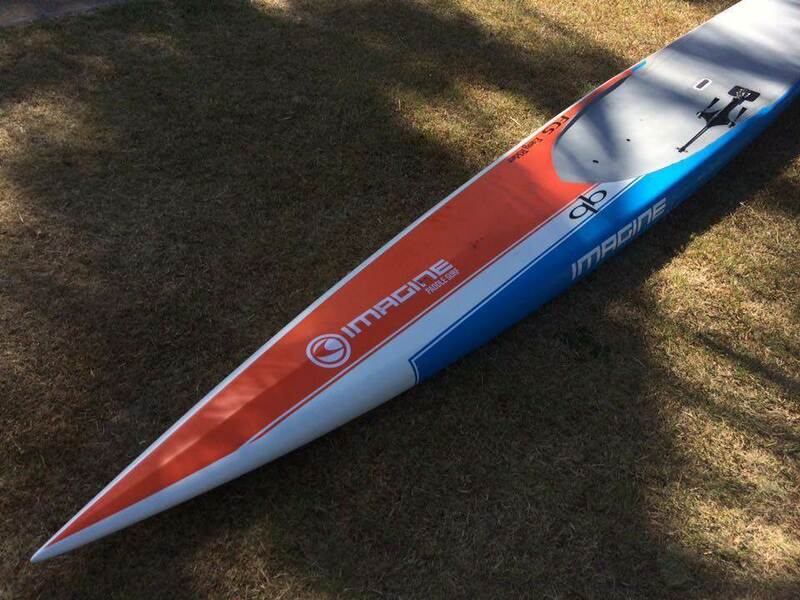 G'day Bender just cut your losses why wreck the 14ft Bill Foote board (not worth the money spent) I recon just sell it and get what you can for it and buy a board with a rudder already in it. My new 18ft Bullet for Maui 2016 will have a nose just like this "can't wait already"
I've paddled this board it fast and magic it just flies through any swell that gets in it's way without losing speed. It depends on your local conditions. If the wind is very strong and waters shallow and swell short-period then rudders don't work well. They just get overwhelmed, and you'll need to be away from them a lot at the back of the board if it's steep short period stuff anyway. Clearly however in other conditions people swear by them. Why not buy a ruddered SIC 14? UL boards are hard work for quartering significant wind and swell. i went from an unlimited ruddered board to the one you have now. Weed was the main reason as it is a real pain with a ruddered board. The Aircore was faster and more enjoyable. Unlimited are difficult to transport and store. WA is not true downwind except for the first 7k of KOTC run. I gave up and went back to kiting. More fun. I'm hearing you mate. thanks for that. Bender, next years SICs will have a lockout on their steering AND the option to remove the rudder and use a fin of your choice as there's a built in fin box. Also note, you don't have to go to an unlimited, as the Bullet V2 is available with the new FAST steering. If side wind is a real problem in your area, you can always place an "after market rudder". To conceal the steering system will be a lot of hard work - and expansive. To place the system on top of your board (along the rails with guides) isn't that hard, and cost effective. So yes, it's do-able, and in my opinion will help tremendously, but if you can afford it, just do yourself a favor and get a UL or similar, with a steering system already installed. Another priceless innovation is to place a belly fin (a fin that you can remove, about 3 feet in front of the standing area). They work amazingly well, especially with side wind.